Best friends share everything. Gossip, clothes, secrets and memories. Taste in music, movies and sometimes even boys. But can they know each other so completely that they would trust each other with anything? Can there ever be doubts within their friendship? Rachel and Clara have been best friends since primary school. A deep bond developed between them instantly and bordered on obsession. Rarely apart, they experienced their teenage years together and are only separated by tragedy. Almost a decade later, and Clara is missing. Rachel is a TV news reporter and is suspicious of the disappearance. Using her investigative experience, she begins the search for Clara and is soon remembering events from their childhood, not all of which are pleasant. Memories can hurt, but who will suffer the most? Clara, or Rachel? 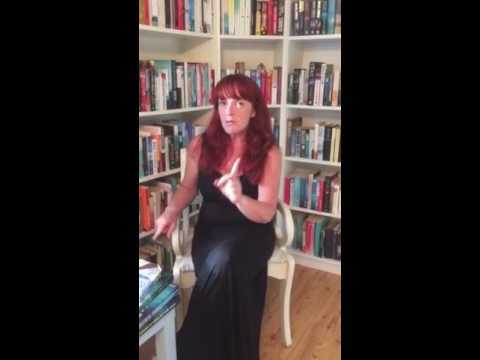 With her second novel, The Life I Left Behind, due to be published in Aug 2014, I think we can add Colette McBeth to the bookshelves, alongside S J Watson, Alex Marwood and Sophie Hannah. 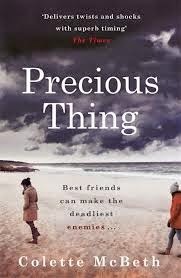 Precious Thing is published by Headline Review on 10th April 2014 and is available in paperback and ebook format.